Moving water from the roof of your house is a safe thing to do during heavy rains. Gutter overflow is a common phenomenon during heavy rainfall. Preventing overflow goes beyond keeping your gutter clean. You may rid the gutter of all debris and dirt but nonetheless, it can still overflow. The installation of GutterShutter systems totally prevents water overflow especially when it rains heavily. 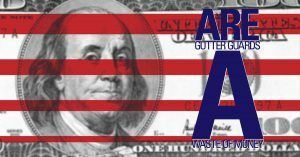 GutterShutter is an innovative debris and leaf collection system designed to divert rainwater from the roof of your house. 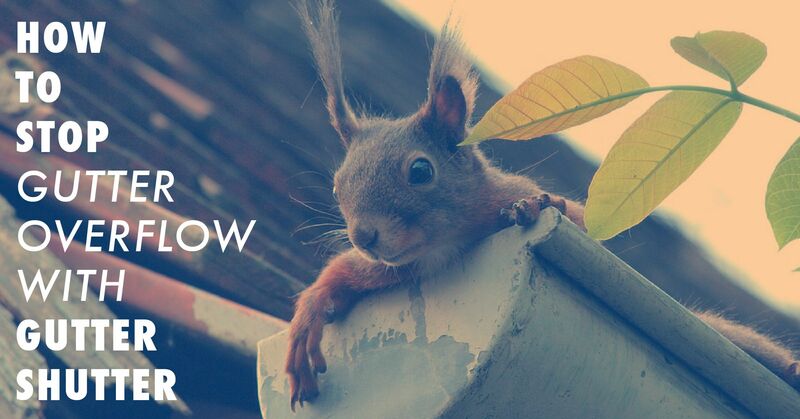 With GutterShutter, you won’t need to climb dangerous ladders in a bid to clean clogged gutter. A water-tight seal runs along the entire structure to eliminate all clogged downspouts and similar underground plumbing problems. No water will flow down to walls and therefore, you won’t experience any patches or mold growth. This will help maintain the aesthetic appeal of your home in the long run. Unlike other rainwater collection systems, GutterShutter works both on gently-sloping and steep roofs. Even though water flows faster on steeper roofs than flat roofs, GutterShutter isn’t affected by the speed of flow. Every rain droplet falling on your roof gets collected and channeled to the intended area. GutterShutter is designed to completely seal off the drainage system of your home’s roof. With this system, no vertical openings are left and therefore, water and debris cannot enter. In addition, GutterShutter doesn’t use any screens, filters, or inserts. Once GutterShutter is installed, rainwater will flow around and over the nose of the system using the law of surface tension. This is akin to the way water sticks onto the side of glass surfaces when it’s poured. 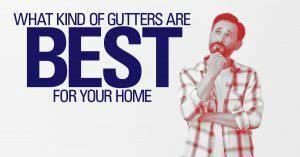 With GutterShutter, you will have peace of mind knowing your roof won’t rot away due to water or debris accumulation. You are also assumed that rainwater collected from the roof will be safely channeled away from the house without posing any harm to your property. The GutterShutter system is designed to handle even the heaviest rainfall. Most of the available GutterShutter systems come with flow reducers meant to slow down the speed of rainwater coming off the roof. However, surface tension is what maintains the flow of water into the gutter. Do you wish to install the GutterShutter system on your Sacramento, CA home? Contact Straight Line Construction to enjoy their efficient, dependable, and proven installation services.